Storm Smart is Florida's largest manufacturer and installer of hurricane protection products and offers the most competitive product line in the industry. 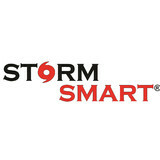 Storm Smart is a group of dedicated hurricane protection industry professionals, with a history of providing unmatched customer service and innovative product development which has a set us apart and helped us become the largest manufacturer and installer of code-approved hurricane protection products. Southland Exteriors proudly serves S.W. Florida. 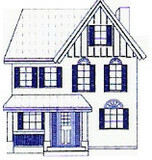 Southland Exteriors is a locally owned and operated home improvement business. Southland Exteriors hopes to become a service that you and your family can always rely on. For over 25 years, our dedicated team has been providing quality customer care. If you’ve been looking for affordable prices and great service, you’ve come to the right place. Full Service Window & Door Sales and Installation. Family owned and operated for 35+ years! Please give us a call to set up your Free in home estimate with our expert Sales Professionals. The Window & Door Design Center of Florida/Naples provides impact windows and doors for the finest builders and homeowners in Florida. For 19 years, our firm has been a leading distributor for luxury manufacturers such as Kolbe & Kolbe, CGI, PGT, Windoor, Signature Door, Stewart Brannen, Trustile Doors and Rocky Mountain Hardware. Our goal of providing the highest level of service is embodied in our commitment to our clients. The Window & Door Design Center of Florida/Naples is able to meet your needs; staying true to our core values of providing premium levels of service, craftsmanship, luxury and performance. Earthwise Windows of Ft. Myers, FL is known locally as Eastern Architectural Systems, building impact-resistant and non-impact products. We are a manufacturer of quality Earthwise windows and doors, and all Earthwise products are Made in USA – Certified®. This means a lot to us: We believe in our country, and in the communities where we work and live. We are also the only manufacturer in Florida that produces Earthwise vinyl windows, the only vinyl impact window backed by the Good Housekeeping Seal. We supply Earthwise windows and doors to dealers, builders, architects, and contractors serving Florida. We also export to Mexico, South America and the Caribbean. We invite homeowners to find their nearest dealer using the Dealer Locator on our website. Storm Solutions, Inc. is committed to protecting your home or place of business. As manufacturers and distributors of hurricane protection products and glass and mirror solutions, we install and service the highest quality products "Made in America". We strive to be the best in our industry and we offer top quality customer service. Serving Southwest Florida since 2004. CC Shutters is here to address all of your hurricane protection needs. From new construction to replacement hurricane shutters, windows and doors we can do it all ! Whether its installation of new products or service and repair of existing protection, we're here to serve. Our goal is to meet the needs of the customer in a timely manner while providing superior customer service and keeping your home properly protected. SUNFLEX designs and manufactures luxury high-performance commercial and residential folding doors and sliding wall systems. Founded in Germany in 1986, and sought after around the world, SUNFLEX prides itself with the German tradition of unparalleled quality, innovative designs and superior customer service. U.S. sales and distribution is managed out of Naples, Florida with international operations in Great Britain, Canada, Mexico, United Arab Emirates, South Africa and Thailand. To learn more about SUNFLEX visit www.sunflexwall.com or call 800.606.0756. At Great View Home Innovations, Inc., our goal is to provide you with exceptional service and the highest quality workmanship in maintaining your home and/or workplace. We are a full service home/workplace maintenance team for all your window, door and screening needs. We can help you with many aspects of your home/workplace maintenance. We strive to make the process easy and enjoyable for you. We have over thirty years experience in the industry. Our excellent reputation and long list of satisfied clients attest to our superior craftsmanship, attention to detail, clear communication, honesty and integrity. Just ask for our client reference list. Siltech® was established in 1998 and is dedicated exclusively to the distribution and installation of 100% Acrylic Solid Surface windowsill products to the residential and commercial building industry. Since our inception, Siltech® has provided a superior product teamed with superior service and execution, earning a reputation for quality. Siltech® has been extremely successful regionally changing the building industry standard for windowsill products in both new construction and the remodeling market and is currently expanding operations to keep pace with increased demand. Siltech® solid surface windowsills are a significant upgrade in both quality and appearance for your clients. Siltech® products are synonymous with durability and elegance and offer an attractive selection of profiles with pricing to accommodate your client’s budget. PGT Authorized Dealer No job is too big or too small for Naples Windows & Doors. Owner, Jim Baker handles all estimates and appointments personally. You won’t be dealing with a pushy salesperson who is working off commission. And Jim is one of those guys who isn’t afraid of getting his hands dirty either. You’ll find him on the job, every step of the way! Whether your building a new home, commercial building, or replacing your existing windows and doors, the professionals at Naples Windows & Doors can take care of all your needs. Call today for your FREE Estimate! Free Estimates... Serving All of Collier County Replacement & New Installation Whether your building a new home, commercial building, or replacing your existing windows and doors, the professionals at Naples Windows & Doors can take care of all your needs. Call today for your FREE Estimate! Whether you’re building a new Naples Park home, remodeling an old one or just replacing a few windows that are past their prime, your window dealer in Naples Park, FL will help you pick the right windows for your needs, home style and budget. Windows come in so many sizes and types that expert advice and direction is invaluable in helping you make the best decision. These pros can also help you with custom window designs that complement your space better than something ready-made. Lastly, if you are interested in doors with windows, these experts are also knowledgeable about sliding doors, French doors and other paned portals. Find a window dealer on Houzz. 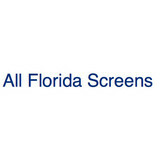 Narrow your search in the Professionals section of the website to Naples Park, FL window dealers. You can also look through Naples Park, FL photos to find examples of windows that you like, then contact the window professional who worked on them.